Kirsty returned to Biggar to launch the paperback of her latest book The Gloaming. A bewitching tale of first love, shattering grief, and the dangerous magic that draws us home. Mara's island is one of stories and magic, but every story ends in the same way. The Gloaming is a gorgeous tale of love and grief, and the gap between fairy tales and real life. It was a pleasure to welcome Kirsty back to the shop and hear about her work, including the fact that Mermaid Performer is a real job! At the heart of western Europe lies a huge swath of land, stretching from the mud and fogs of the North Sea coast, all the way to the great barrier of the Alps. Divided by their languages, religions and frontiers, everyone living there shares one thing: that they are inhabitants of a lost part of Europe - Lotharingia. In this highly entertaining book Simon retraces how Lotharingia has brought forth many of Europe's greatest artists, inventors and thinkers, but it has also reduced many a would-be conqueror to helpless tears of rage and frustration. What an evening! 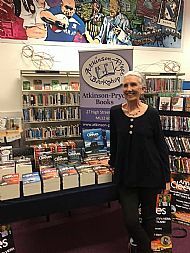 The fabulous Ann Cleeves joined us in Biggar Library to discuss, with author and critic Lesley McDowell, the FINAL Shetland novel and eighth in the series, 'Wild fire'. Signed copies of the whole Shetland series in stock now. Remote. Drawn in by the reputation of the islands, a new English family move to the area, eager to give their autistic son a better life. But when a young nanny's body is found hanging in the barn of their home, rumours of her affair with the husband begin to spread like wild fire. We were thrilled to have Janice join us in the bookshop to celebrate the newly published collection 'Jellyfish'. 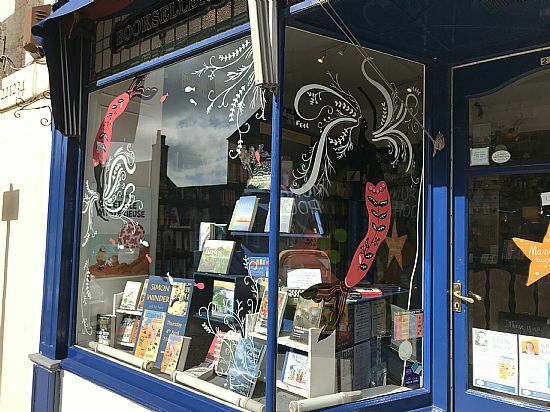 Janice Galloway is an internationally acclaimed author of novels, short stories, poetry and non-fiction as well as collaborative works with sculptors, painters, musicians and photographers.